The simple but effective CompUshade reduces glare and adds privacy to your monitor. 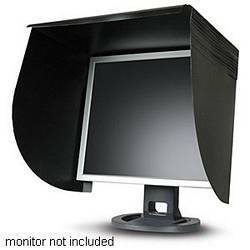 The rugged and adaptable shade can fit monitors between 15-22 inches (horizontal). Mounts with hook and loop fasteners so it's easy to remove if desired. Monitor not included.